What if I had one unique jewel? This product is already in your favorites list! See Favorites! 70 to 90 cm (27" to 35"), Beaded Necklaces, Long Necklaces, Necklaces, Promotions! Beaded necklace brown and gray. Made with acrylic brown, beige and grey beads . 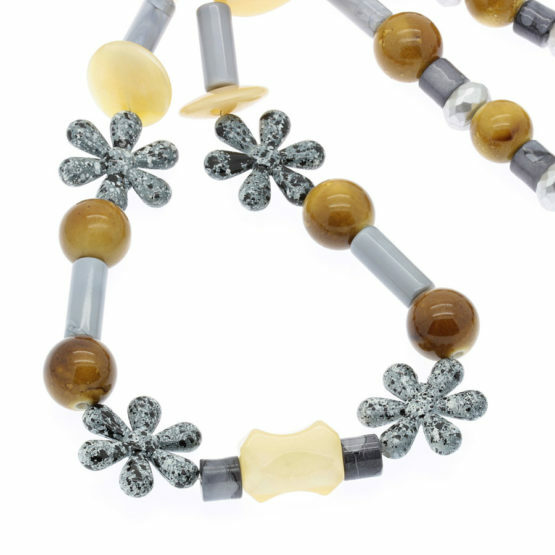 The grey beads blended in black are flower-shaped. Dangle earrings made with pink brilliant resin heart pendants totally created with bright resin. Glittery look with rhinestones applications. Made with light pink acrylic beads. 7 1/2", Beaded bracelets, Bracelets, Bracelets Sizes, Promotions! 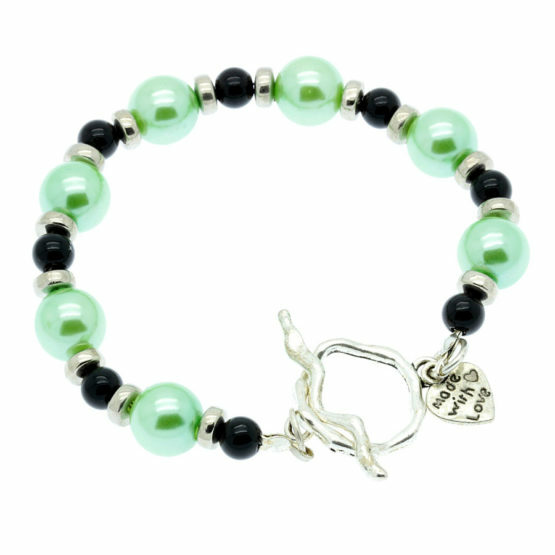 Green and black beaded bracelet. Made with green and black acrylic beads and with golden spacers. Silver tone structure. Big "T" clasp with a silver tone heart pendant "made with love". The clasp is as the centerpiece of the bracelet. 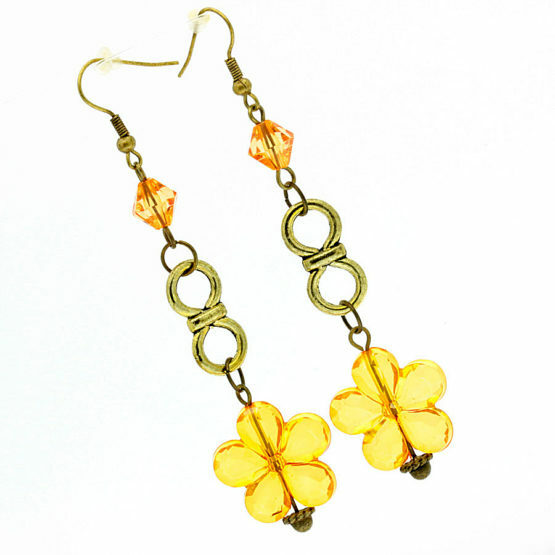 Orange flower bronze earrings. Bronze earrings with orange flower. Made with old golden, bronze and orange acrylic beads and metallic parts. The orange ones are flower shaped. We guarantee the confidentiality of your data. We guarantee delivery on all orders with registration. Pay for your purchases with our secure payment options. Give your personality a special touch with our 100% unique pieces. Subscribe our newsletter and get the best of our new products and offers. Join the Club V.I.P. From JAFY special clients! And get discounts and exclusive offers! Your best Email to access everything! Join Now!